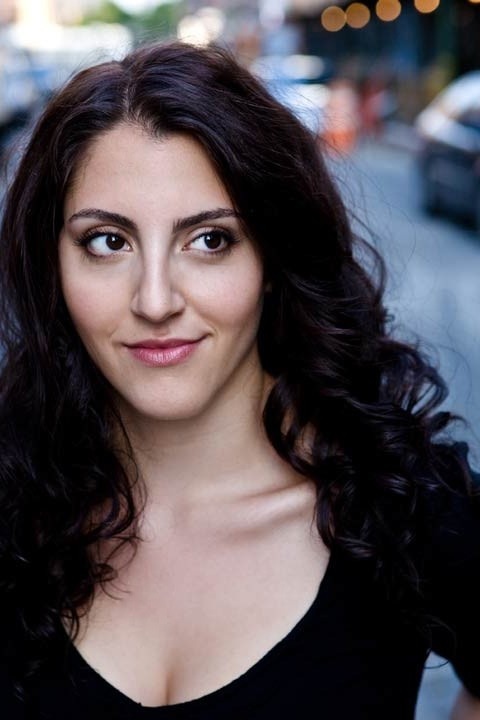 Theaterspeak : Nicole Pandolfo's LOVE IN THE TIME OF CHLAMYDIA Will Warm the Cockles of Your Heart. Nicole Pandolfo's LOVE IN THE TIME OF CHLAMYDIA Will Warm the Cockles of Your Heart. "One woman’s search for love in a world full of absent father’s, premature ejaculators, alcohol, and venereal disease..."
What's LOVE IN THE TIME OF CHLAMYDIA about? It’s a mostly comic take on some of the awkward parts of growing up, especially if you’re someone who was looking for love with a lot of people. But at it’s heart, it’s really a story about growing up, having fun, screwing up, (screwing around), drinking a lot, and trying to figure it out. Are solo shows your thang? I like solo shows! I love really great solo shows! I love John Leguizamo and have seen most of his stuff and Mike Daisey is doing some killer monologue work. I’m a huge fan of Spalding Gray. That being said, in general I haven’t seen as much solo work as I wish I had. I wish there was more around that I knew about. So solo shows are my thang, but not my only thang. With this piece, I definitely didn’t set out to write a solo show. I’ve mostly written traditional plays. I also just completed a television pilot and am currently working on a novel, which is really fun. I’ve been writing plays for 5 years and it’s been fun to dip into screenwriting and straight-up fiction. Fiction writing is great because you can just say a character’s inner-thoughts. Just right out there like in the middle of action. It’s awesome. Not that you can’t do that with some type of soliloquy or monologue in a play, but fiction writing is designed for it. And that’s probably why I had so much fun writing LOVE IN THE TIME OF CHLAMYDIA. The solo form leaves room for some of that same inner-monologue. What was the inspiration for LOVE IN THE TIME OF CHLAMYDIA? It started out originally as monologues from the perspective of multiple prostitutes who had seen really weird stuff go down on the job, and it was called “Five Fucked Up Fetishes.” Then I realized I was using a lot of back story from my own real life and then it kind of forced itself onto me as a solo show based on myself. I started writing it on the train from NYC to NJ where I grew up. A lot of great story ideas come to me when I take that ride on the North East Corridor, I guess maybe for obvious thematic reasons. What was your process in developing it? I wrote the first draft in a playwriting seminar at HB Studio with Julie McKee, where Julie and many wonderful playwrights really helped shape and inspire my progress on the draft. Then in spring of 2009, I presented an early version for the script as part of Emerging Artist Theatre’s One Woman Standing, which was a great space for developing it further. In the fall of 2009, I presented a slightly tweaked script at Manhattan Theatre Source’s Estrogenius Sola Voce. Which was also a really great part of the development. And then I sent it out places here and there, but nothing really materialized with it and I had kind of put it on a shelf until J.Stephen Brantley approached me last year about doing a full production of it, which was just an amazing. Luckily J.Stephen had been in the audience at Estrogenius and when he started his company Hard Sparks, he had it in mind. How did you meet JSB and Hard Sparks? I met J.Stephen in the summer of 2009 at the first annual Stony Brook Southampton Writers Conference. We were in a seminar with Craig Lucas, who is just the biggest sweetheart and an amazing guy, not to mention an incredibly talented playwright. I instantly connected to J.Stephen’s work, but he really won my heart over when he threw an awesome house party! It was my first ever Hamptons party, and it was full of writers and actors and was so much fun. I’m sure I probably drank too much white wine, but we became colleagues and buddies and both still keep in touch with some other folks we met there. I highly recommend that conference to anyone! But that’s really where it started, we kept in touch, and he was in the audience at Estrogenius that fall and that’s how it happened. What has the process been like in working with your director Jonathan Warman? It became a living, breathing organism and as we got it on its feet, J.Stephen, Jonathan, and I all kind of went through it to tighten it up. As I worked on it, I realized some lines were worded weirdly, or gave things away too soon, or were better left unsaid. That type of thing. So as the actor, I’ve definitely made some changes. It’s nice to sort of have the authority to do that, versus when you’re saying someone else’s lines, you’d typically have to confer with them and that could be scary. Working with Jonathan has been great. Not having anyone else in the cast with me I’ve had to put a lot of trust in him and vice versa, I’m sure. It’s been a new experience having no other human on stage with me from which to draw energy from and having to rely on myself for that. How did you come to playwriting? I’ve always been a writer since I was a teen– short stories, poetry, and I did a little screenwriting in college at NYU, but I came to playwriting at HB Studio. My dear friend and comic book great Kevin Maguire, who I work with on sketch, improv projects, and various other comedy projects way back in 2007, mentioned he was going to signup for a playwriting class at HB, and I was like “Hey, I’ll do that with you.” So I signed up, and he actually never did, but I ended up really finding a passion in that room. I’ve got a few projects in the works, but I’m kinda superstitious about blabbing about them before they actually materialize, so things I will say are that I have a play in Australia right now called I THOUGHT I LIKED GIRLS as part of Short+Sweet Sydney. Check it out if you happen to be on the other side of the globe. It’s also coming out in print soon in the 2011 BEST TEN-MINUTE PLAYS, SMITH & KRAUS. I’ve got screenwriting on the brain, and my novel, which I still am not sure what it is about, but I hope to spend a lot of my time working on movies, television, and my book in the coming months and hopefully touring LOVE. But the crazy thing about this business is anything can come out of anywhere, so I’m hoping for something really good! What artists/theater co's/novels/etc are exciting you right now? Hardsparks and Theaterspeak obviously! The East 11th Street Renegades. I’m really inspired by the writing of Richard Price. I’ve been thinking about the 90s a lot- I don’t know what that means, but I have. I think I’ve been placing a nostalgia on it. I suppose there’s some sort of craving in me for a “pre-September 11th, facebook, no jobs around” time. I find my family and friends in New Jersey endlessly inspiring. Sometimes in Manhattan you forget that people do things in a totally different way other places. In my opinion the people I grew up around behave in a more visceral and sincere way. It just seems more simple, less complicated by career and money than the people I’m around in New York- so I look to my home state and hometown for inspiration and connection. Chelsea Handler and Louis C.K. are both doing some really interesting work on TV. I like their 'do it my way' attitude and trusting their own artistic vision. And it’s been working for them both. What I’m learning more and more is that the theme of our current artistic state seems to be you gotta do it yourself. Which maybe has always been the case. But that’s really what I’ve been thinking about. 'How can I make this happen?' rather than 'how can I get someone else to make this happen?'. Obviously, some things you really do need other people for, but I’m trying to take control of what I can and make IT happen. There are a few tickets on TDF for LOVE IN THE TIME OF CHLAMYDIA for $9 or you can head to my website for more information: www.nicolepandolfo.com Hope to see you there! LOVE IN THE TIME OF CHLAMYDIA is part of Horse Trade's Frigid Festival which begins February 22nd thru March 4th. For more information, stay cool here.